I have a frame where I want to run an avi behind a transparent gif. I tried using frame properties to run the avi, and then placing the transparent gif over it as a hotspot. I thought this would run the video behind the hotspot, but instead I get the video, and then the hotspot displays after the video is finished! What am I doing wrong? You are playing a video..but placing it behind a GIF --? So the video plays...and the GIF is displayed after the video is finished?-- IN other words-- it disappears till the video is played.? Check the coordinates of the output method of video[not the size u made in AM]--sounds like it may be too big..perhaps taking over the whole area..? Or a variable comes to play..? Even though u shrunk the coordinates..it still will display the original coor...---if they are big.. I had in my latest game a hotspot over a video sequence, but it didn't seem to work well for all players Therefore I had to redo the screen in another way. ShadowHunter did something similar with Particle+, but he was running his video with the plugin. My guess is he knew how to manipulate the z-order. Anyway, I gave up and just built it into the animation. I'll have to look closer at how ShadowHunter did it when I have more time. Say, remember when we were wrestling with this issue while working on the AMJournal?! It was problem back then, but now it seems that you want to do it on purpose. I think if you go back to one of the earlier versions (from 6/2/09 from my notes) you should be able to see the issue of the NAV icons displaying over the animation (640 x 480 bordered version). Grab your code there and you should be done! Well, HTH. Let me know how things go. 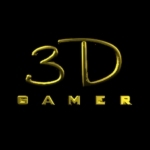 Last edited by 3dgamer on Mon Jun 29, 2009 5:07 pm, edited 1 time in total. Thanks 3D. I'll take a look!